Exploring human rights principles within the context of migration and identity. The Americas are a historic crucible for the development of human rights principles. The region has witnessed devastating abuses; it has also given rise to compelling ideas about protection of rights, including the rights of indigenous communities, women, and families. ​Rights & Identities in the Americas takes an interdisciplinary, integrated look at the history of human rights in the Americas, indigenous rights through the lens of language and culture, and connections between the state, family, gender and immigration. The program examines these issues on the ground in Durham and Mexico, where Dr. Liliana Paredes is conducting on-going research. 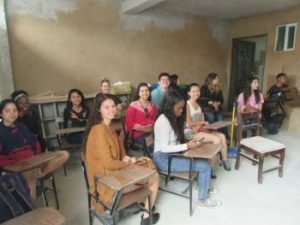 Students meet with and interview indigenous immigrant families who have settled in Durham, then visit the “feeder towns” in Mexico where these families came from and still maintain close ties. This paired focus will allow students to see rights questions “at home” while at the same time linking them to transnational issues and processes that are reshaping the relationship between North and South America. Rights & Identities in the Americas draws on the expertise of the Center for Latin American and Caribbean Studies (CLACS), the Duke Human Rights Archive in the Rubenstein Library and the Duke Human Rights Center @the Franklin Humanities Institute. 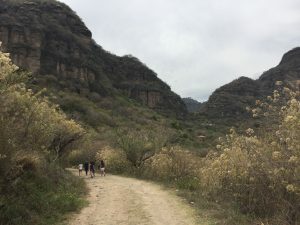 Read the reflections of Spring 2016 students, as they studied indigenous rights, immigration policy and globalism with a peer cohort from la Universidad de las Americas Puebla (Mexico). Application: Applications are currently being accepted for Fall 2019! Download the application and submit the completed application to Robin Kirk (rights@duke.edu). Students are accepted on a rolling basis until 5pm on Thursday, March 21st, or until the Fall 2019 cohort is full. Contact Robin Kirk (rights@duke.edu) for more information. Course fee: $1,000; Duke provides additional grant aid to cover the cost of any course fee for all students receiving financial aid. The course fee is in addition to tuition, room and board. Contact Duke’s Karsh Office to Undergraduate Financial Support (finaid@duke.edu) for more information. Contact Robin Kirk (rights@duke.edu) or Emily Stewart (emily.stewart@duke.edu) to learn more. Meet the students from Spring 2016, Fall 2014, and Fall 2013. Read an op-ed by 2016 participant Cole Wicker: With HB2, what it’s like to be gender fluid me in NC, and paper on The Human Rights Impacts of VAWA 2013 by Lauren Kelly.